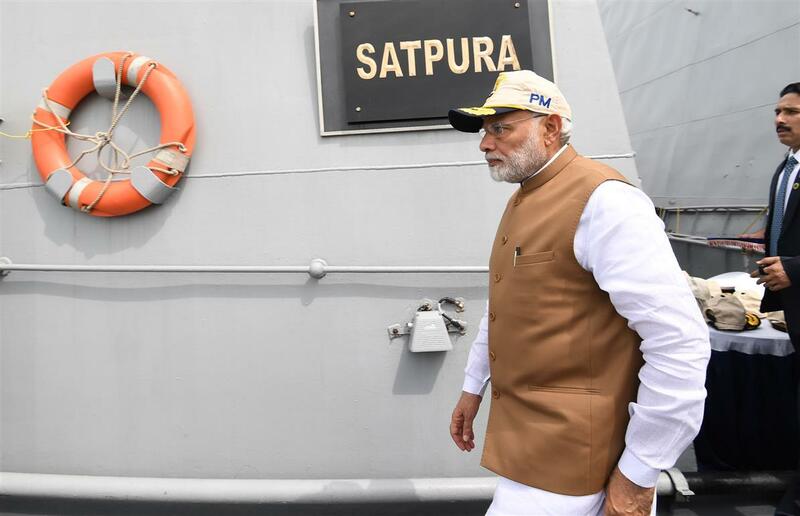 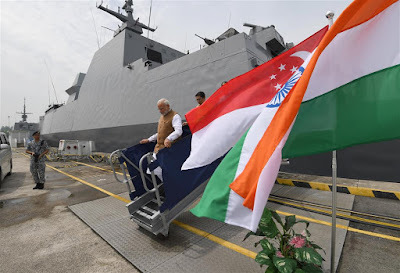 In pursuance of India’s Act East policy, Indian Naval Ship Satpura is on a visit to Singapore. 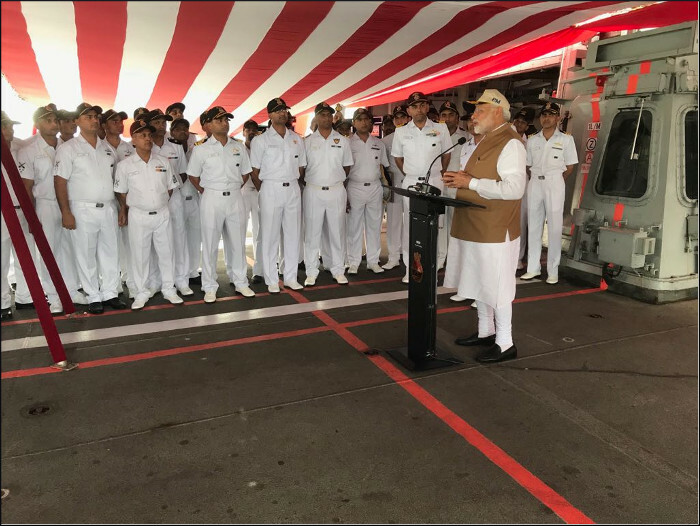 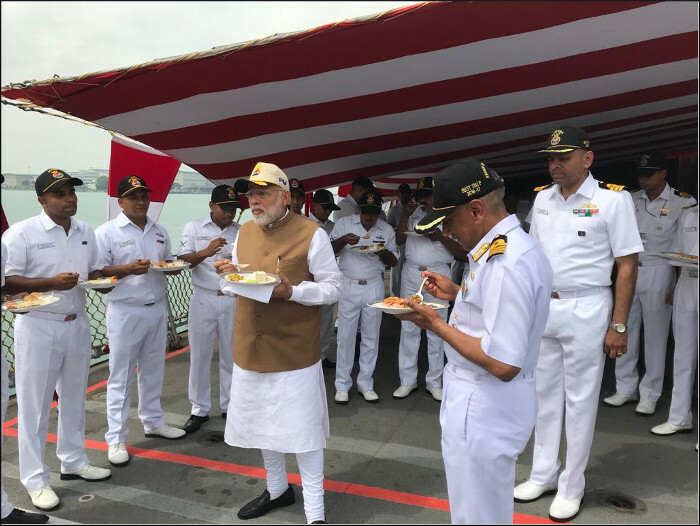 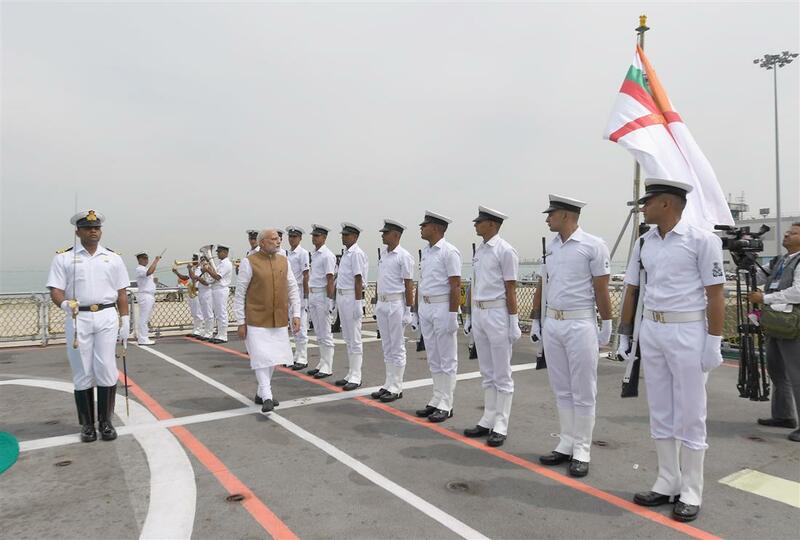 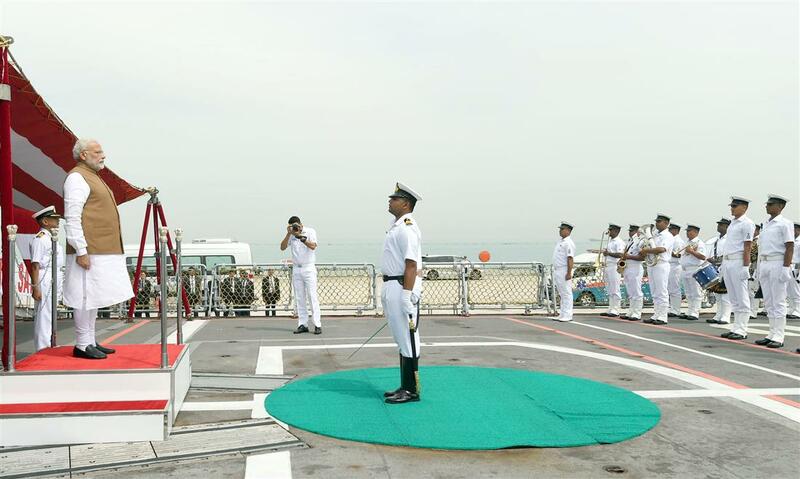 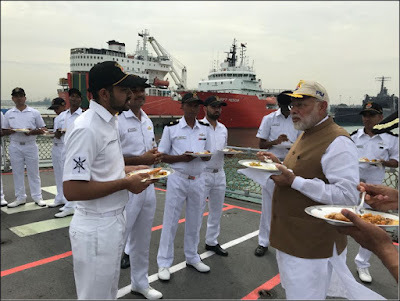 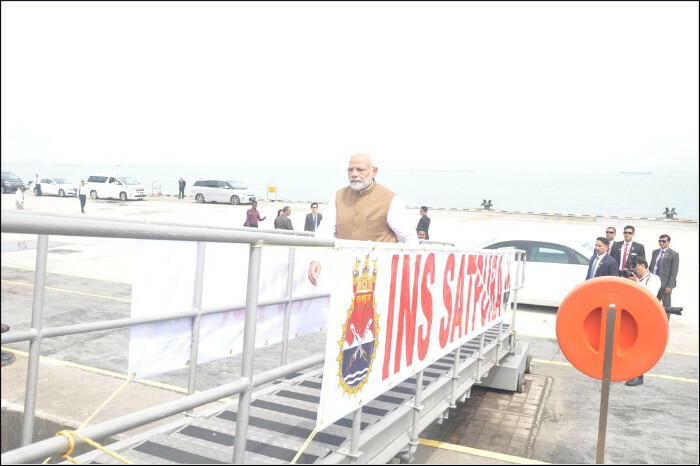 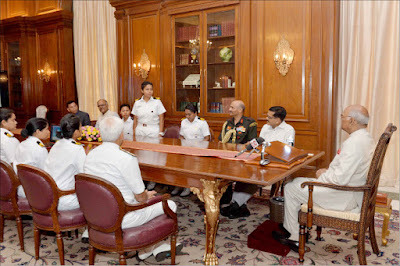 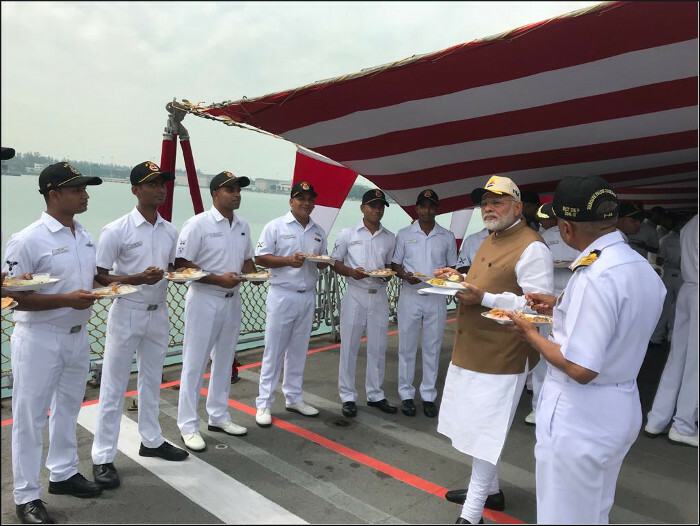 The Hon'ble Prime Minister of India Shri Narendra Modi visited the ship and interacted with the ship's crew. 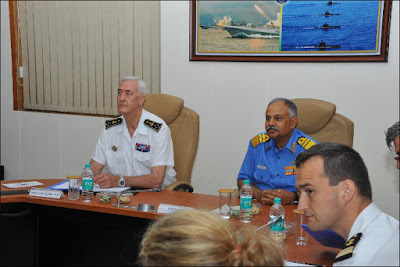 Visit of French Institute of Higher Defence Studies Delegation to Western Naval Command, Mumbai. A delegation from the French Institute of Higher Defence Studies visited Headquarters, Western Naval Command (HQWNC) at Mumbai on 01 June 2018. During the visit, the delegation, led by Vice Admiral Gerrard Valin (Retd), interacted with Vice Admiral Ajendra Bahadur Singh, Chief of Staff and other senior officers of HQWNC. 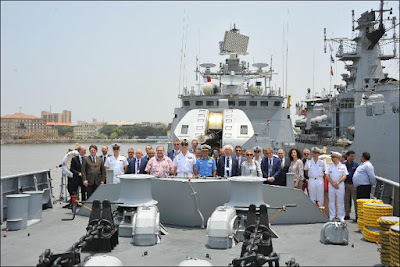 The delegation visited the guided missile frigate of the Western Fleet ‘INS Teg’ and Mazagon Dock Shipbuilders Limited. India and France are party to bilateral maritime security dialogue which is conducted annually. 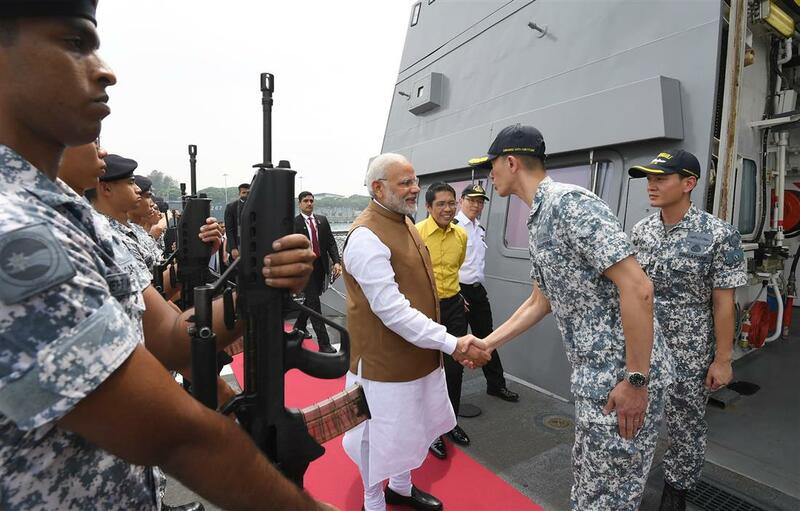 Relationship between the Indian Navy and French Navy has grown stronger and reliable over the years. 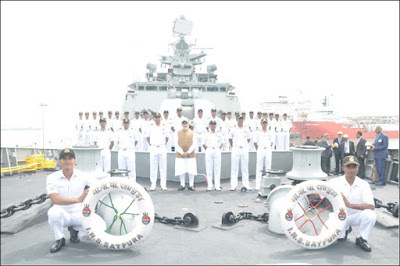 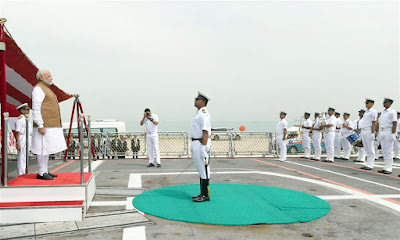 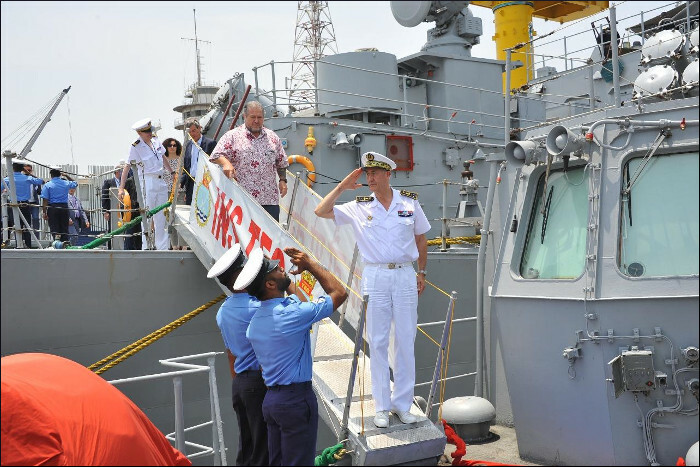 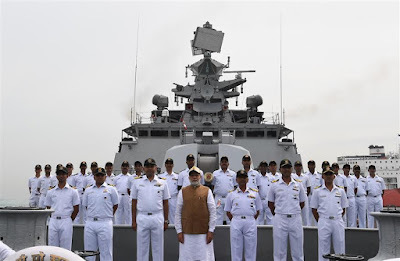 Naval cooperation between the two navies is spread over a wide canvas, which inter alia includes the annual bilateral exercise VARUNA, goodwill visits by ships and high level delegation visits. 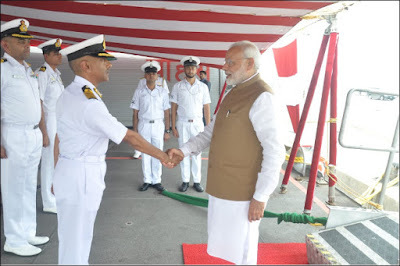 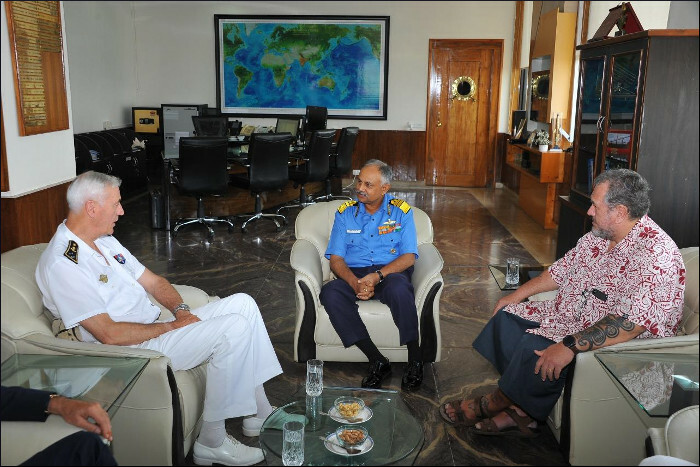 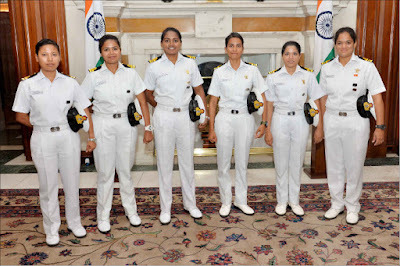 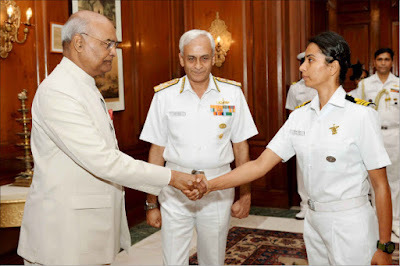 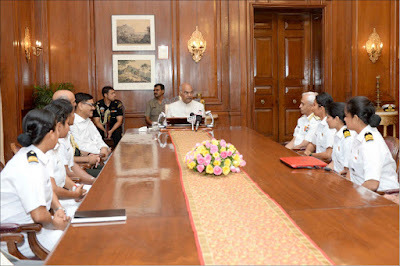 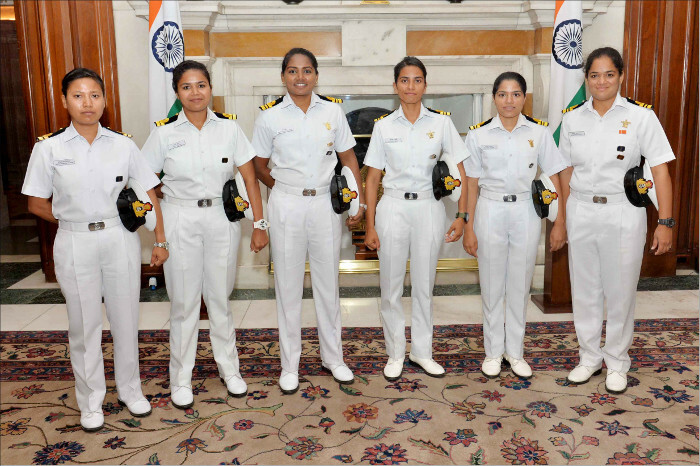 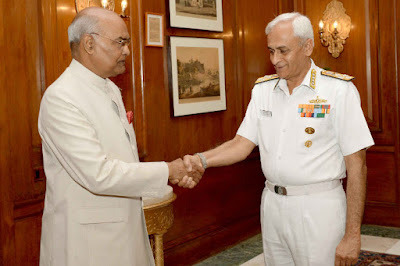 Both the navies are committed towards ensuring maritime security of the Indian Ocean Region. 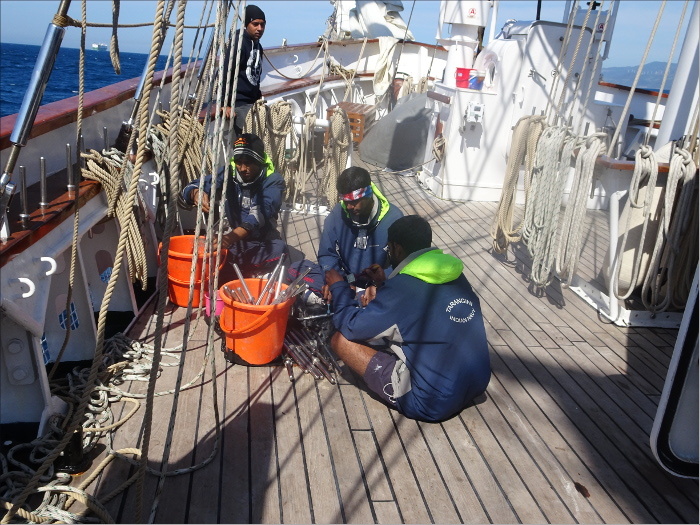 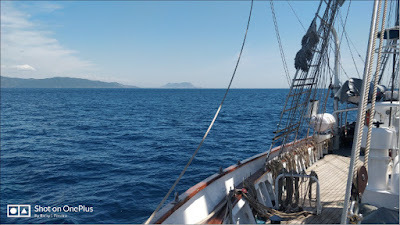 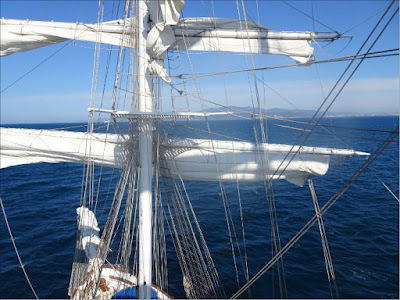 INS Tarangini is presently on passage to Lisbon, Portugal as part of Lokyan 18, a seven-month long voyage with the theme ‘Sailing through Different Oceans and Uniting Nations’. 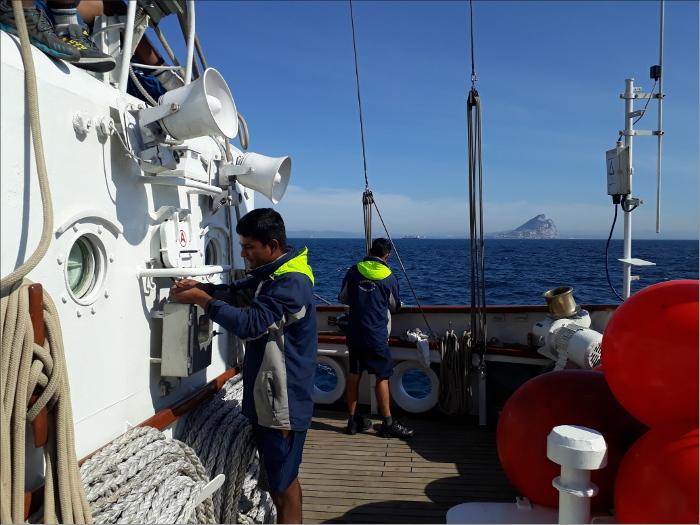 The ship transited through the Strait of Gibraltar on 01 June 2018 and is scheduled to arrive Lisbon on 04 June 2018.